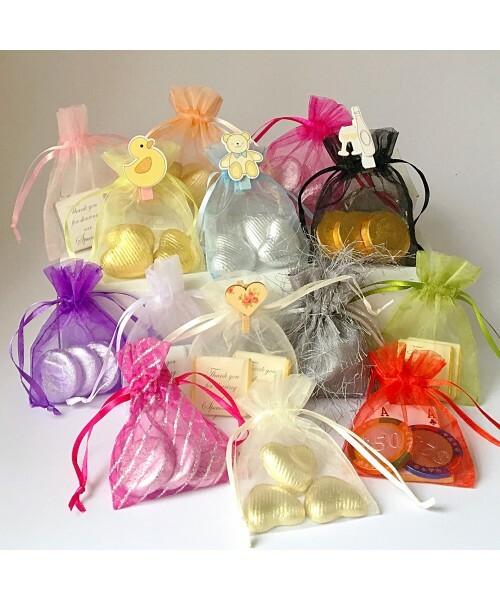 Beautiful organza bags and elegant gift pouches available in a huge variety of colours schemes and theme options suitable for any type of special occasion, wedding or event. Colour coordinated pull ties to secure your choice of delicious foil wrapped chocolates nestled inside. Click to view a selection of ribbon colours, chocolate fillings and to order your Organza Bags and Gift Pouches.